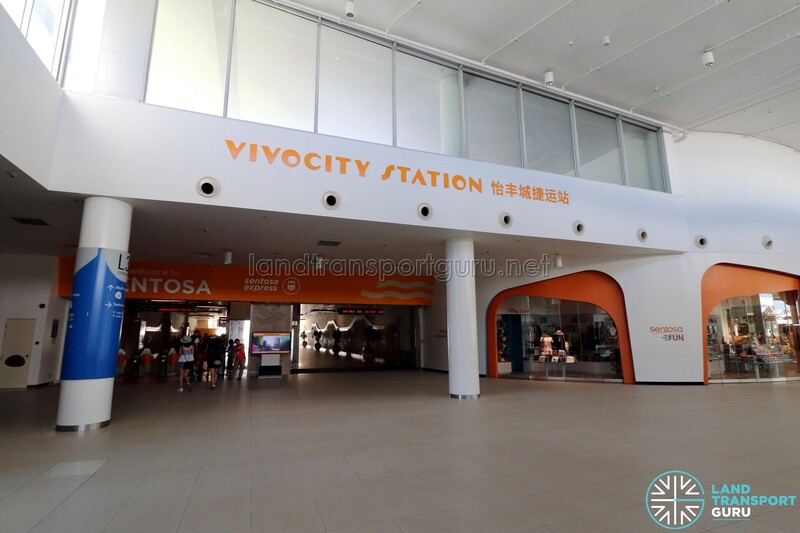 VivoCity Station (S1) is a light rail station and the northern terminus of the Sentosa Express monorail line. 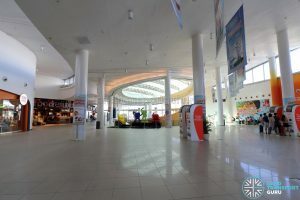 Located at HarbourFront on mainland Singapore, the station is overground and integrated within the third floor of the VivoCity shopping mall. 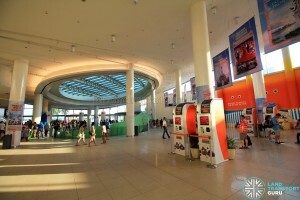 It also connects with NE1 CC29 HarbourFront MRT Station. The station is colour coded Orange. 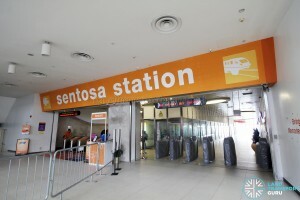 It was formerly named Sentosa Station until 1 April 2019. VivoCity station is overground with two side platforms for boarding and alighting passengers, in an arrangement known as the Spanish solution; passengers board from one side of the train after all passengers have alighted on the other side, thereby optimizing commuter flow by separating boarding and alighting passengers. 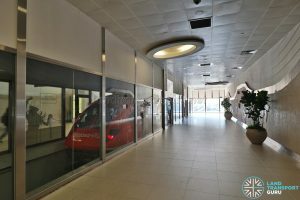 Full-height Platform screen doors isolate the air-conditioned station from the outside environment, enhancing commuter safety and station comfort. 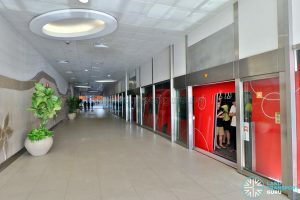 Every Sentosa Express station has a is colour-coded for easy recognition. 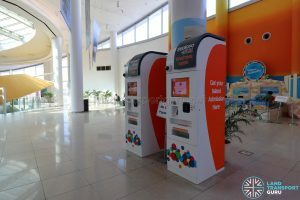 The colour code for VivoCity is Orange. 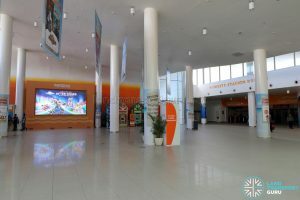 The station concourse is located on the same floor as the platforms, with ticketing counters, ticketing machines, information counters and toilets. 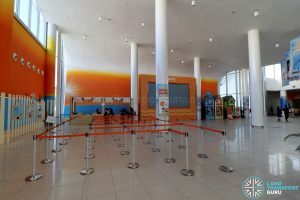 Ticket barriers separate the paid and unpaid areas of the station, with at least one wide-swinging gate for the benefit of passengers-in-wheelchairs and those carrying bulky items or travelling with prams. 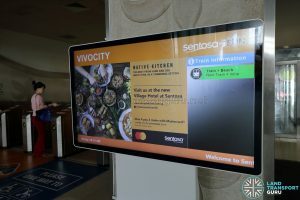 The Sentosa Express charges a fare of S$4 upon entry at VivoCity station (HarbourFront). 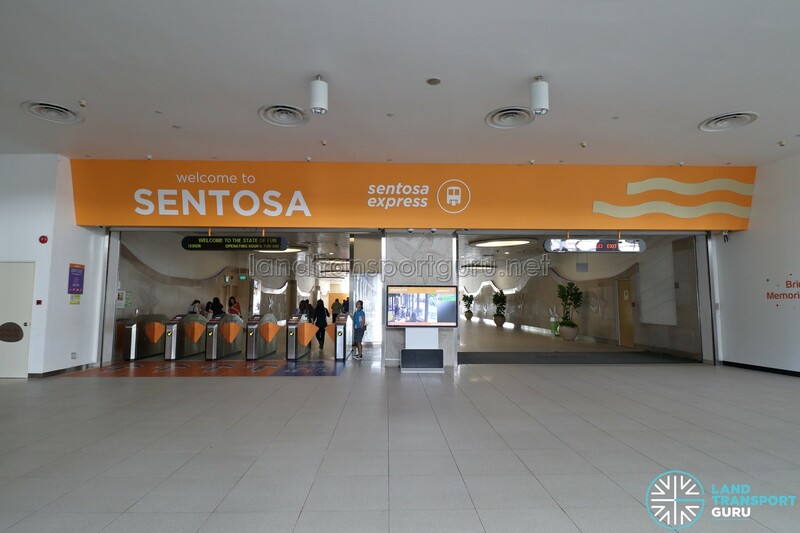 Thereafter, rides within Sentosa Island and outbound rides exiting at VivoCity station are free of charge for all commuters, regardless if they have entered Sentosa Island using the Sentosa Express. A contactless card called the Sentosa Pass can be purchased at VivoCity station for S$4, allowing entry into Sentosa island via the monorail. Payment can be made using cash, NETS or major credit cards (VISA, MasterCard, AMEX and JCB). Alternatively, visitors can use their CEPAS cards at the fare gantries of VivoCity station, where the S$4 fare will be deducted. 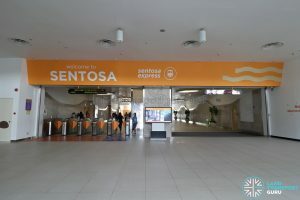 Sentosa Islander membership cardholders have unlimited rides on the Sentosa Express for the duration of their validity. 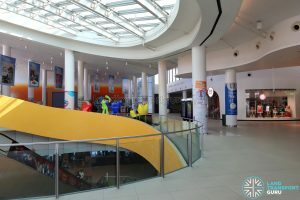 VivoCity station has one exit within VivoCity shopping mall. VivoCity station connects to HarbourFront MRT Station for transfers to the North-East Line or Circle Line, and HarbourFront Bus Interchange for other bus services. 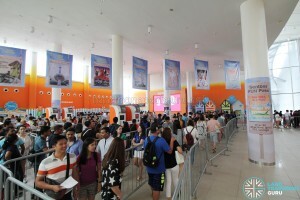 As the mainland terminus of the Sentosa Express, VivoCity station encounters high demand throughout most of the day. 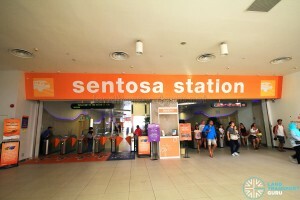 Sentosa station opened on 15 January 2007 with the opening of the Sentosa Express monorail. 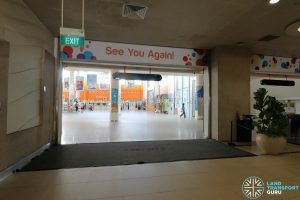 It was renamed to VivoCity station on 1 April 2019. 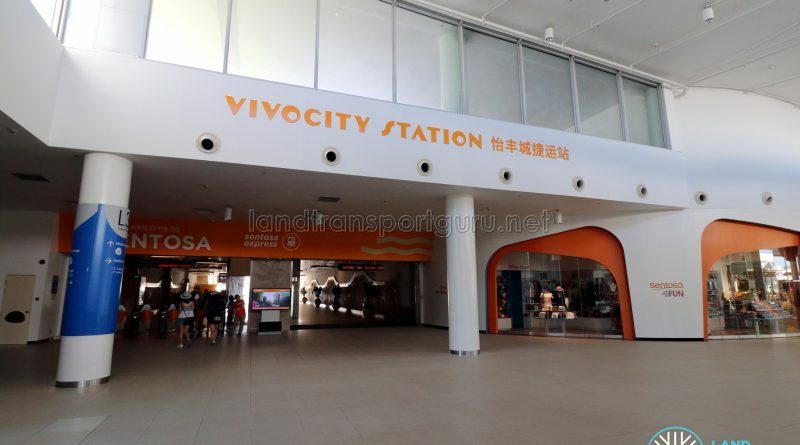 As of 1 April 2019, this station has been renamed to Vivocity station.